iSkin loves to leak a little of their hot new products just before they get released on their website. This time we've found out about iSkin's latest upcoming cases for the iPad 2 including the Vu case we've reviewed for the first gen iPad. The Vu for the iPad 2 now boasts a built-in kickstand for vertical and horizontal viewing. 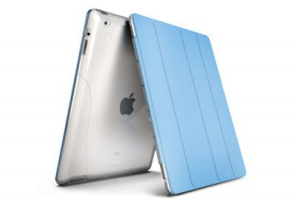 The iPad 2 version of the Vu case hasn't changed much in its construction and still features a semi-clear two-tone color scheme with soft, flexible TPU materials combines with hard polycarbonate. For those of you with an Apple Smart Cover, iSkin will release a Smart Cover compatible case called the Solo Smart. The Solo Smart case is designed with similar materials as the Vu case for the iPad and iPad 2, but takes on a different shape and design combining soft, flexible TPU with hard polycrbonate for extra back protection. 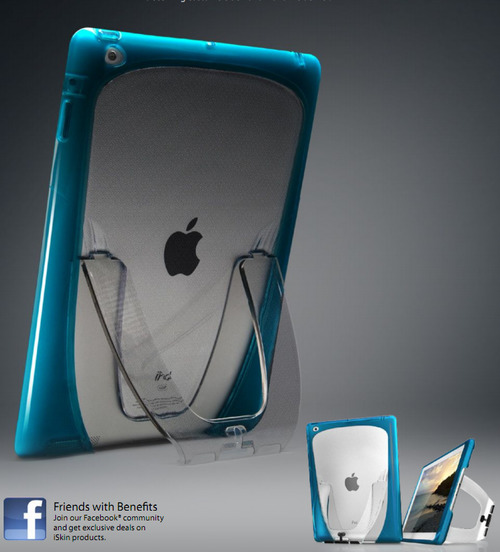 The Solo Smart case for the iPad 2 will be available for $50 while the Vu case for the iPad 2 will be available for $60. It's safe to assume that iSkin will make both cases available very soon in various colors. Update: iSkin has announced that the Vu and Solo Smart cases will be available later this month.